Many Filipinos have proven that they are a nation with lots of talented people and remarkable qualities. 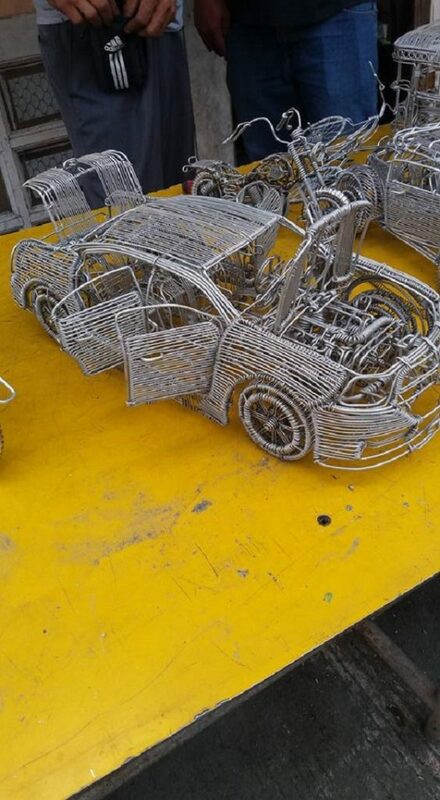 One of those people is this man, who works as a driver but also has an amazing talent to create masterpieces from aluminum wires. His name is Carlito Romanillos and he is 52-years old. Even though his full time job does not involve creativity, he followed his passion and used his imagination for his craftsmanship. He used to work for about 10 years as a car driver, but after he separated from his wife he moved away with his daughter. Now he works as a call center agent. His talent is extraordinary. 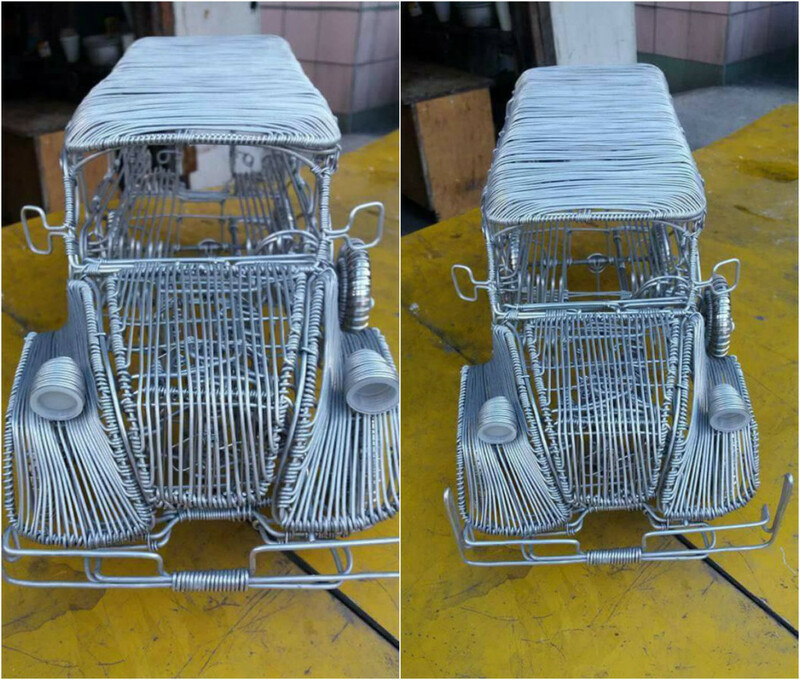 All he needs is aluminum or copper wires and he can turn them into beautiful objects such as bikes, vintage vehicles, motorcycles, cars etc. 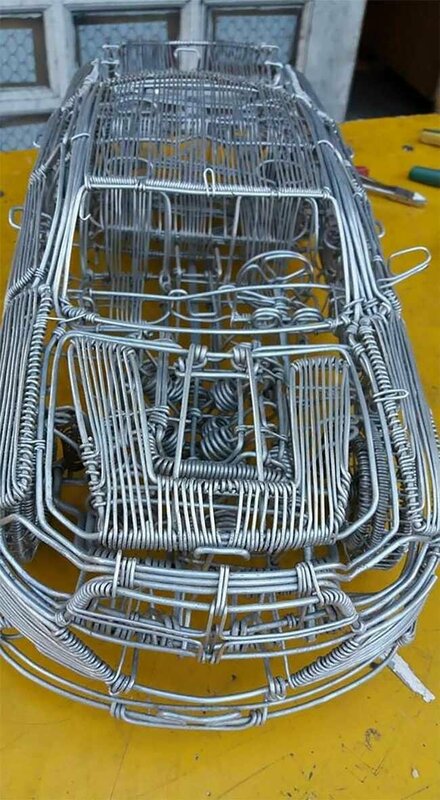 At the beginning he needed 6 months to create one motorcycle, but now he mastered the technique and can do it in just one week. He never planned to earn from his talent, but many of his friends advised him to try selling his art because he can earn a lot of money from it. 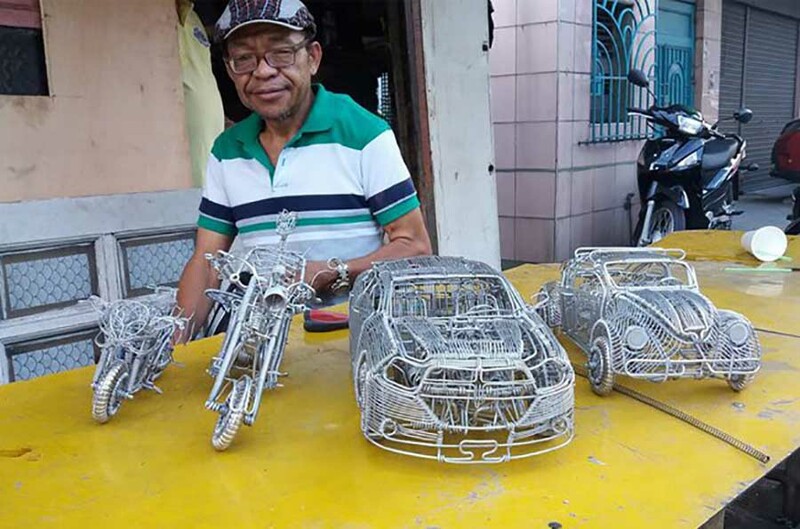 As a way of promoting his business, Henry Ngan shared some of Carlito’s creations on social media and asked people to like and share. This man was lucky enough to get recognition for his hard work and his pieces of art became very popular on social media.